In response, authorities have reduced the amount of water going to the city and asked people to conserve the supply that they do get. They are also considering cloud seeding, we read. 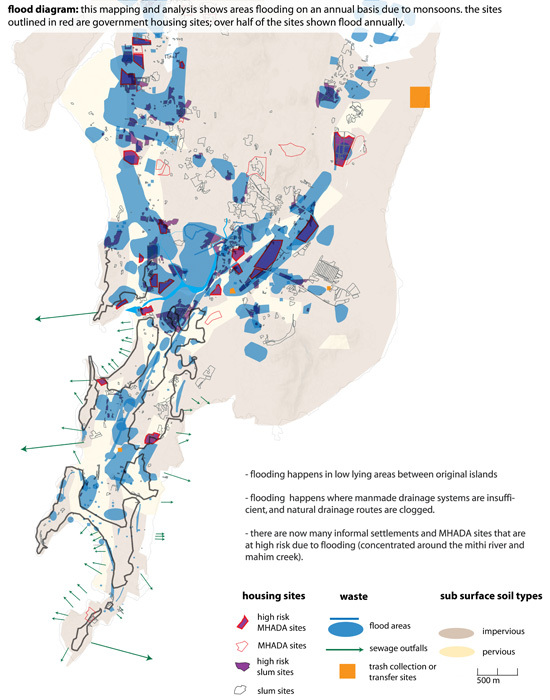 emergeMUMBAI addresses flooding at a regional level, water management and public social spaces for housing redevelopment sites, and most importantly, it alleviates the insufficient water supply for the individual citizen. 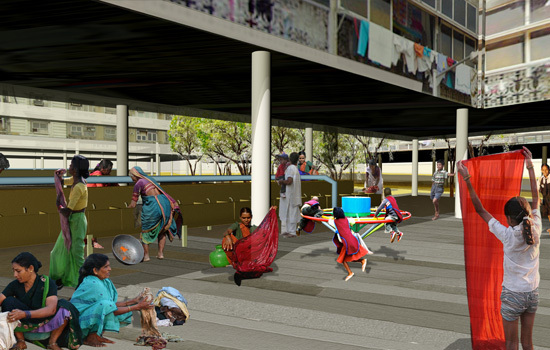 The project uses modern techniques combined with Indian models to provide solutions that work within Mumbai’s culture and maintenance/implementation regimes. Each block of the colony becomes self-contained in terms of water management, while supplying enough water to meet its consumption demands. The full description, which we will not attempt to summarize here, can be found on the ASLA website. But here are some diagrams of proposed hydrological flows. 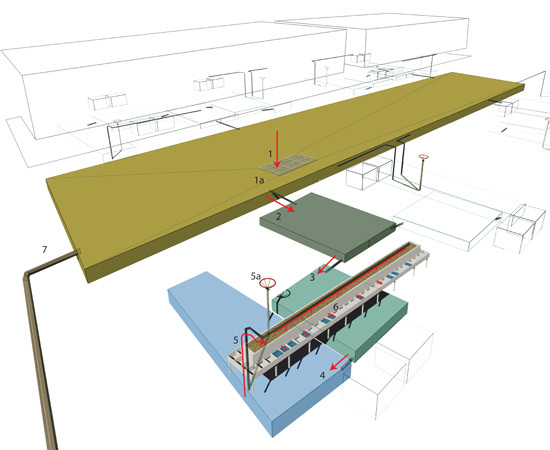 At that site, rainwater is directed to a collection tank system under the courtyard. The water gets filtered and its sediment load allowed to settle. 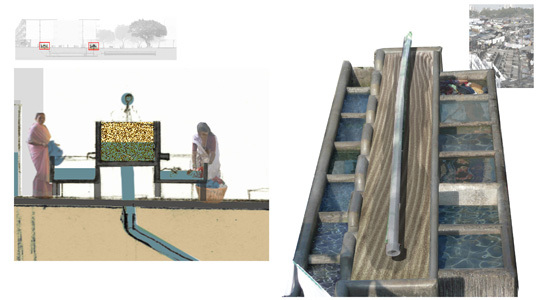 When needed, “a play pump brings water to ground level where it flows through the slow-sand-dobi-ghat filtration tank. The end result here is grey water, but is clean enough for laundry and bathing.” And perhaps enough to alleviate Mumbai's water shortage.